So, you just got braces? Your teeth are officially on their way to being perfectly straight and healthy! 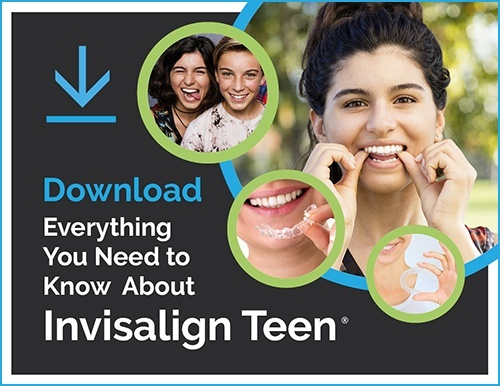 Here at Milnor Orthodontics, we want the experience to be as pleasant as possible, but there are definitely a few things that you should expect once you get new braces. During and immediately after your application, there will not be any pain. There might be slight awkwardness when you’re eating meals due to the amount of metal in your mouth, but you will grow accustomed to it in no time! It is advised that you avoid harder foods and instead choose softer foods like milkshakes or soups for the time being. It is also not uncommon to have a harder time speaking with the braces in, but that will soon pass. Orthodontic practices have benefited greatly from new techniques and materials make your treatment as efficient and comfortable as possible. Even though there have been massive improvements throughout the years, there is still a chance you will experience soreness for the first few days after you get your braces. The movement of your teeth might make your mouth sore, and your lips and teeth might experience some pain or discomfort while they adjust to the braces. The pain from this initial adjustment period can be managed using over-the-counter pain medications. Also, wax is often used to eased any discomfort caused by the metal wires against the inside of your cheeks and lips. The wax can be applied to any rougher part of the braces that could be causing irritation inside of your mouth to smooth it out. Remember, any pain and discomfort you feel is only temporary, and it is going to be well worth it in the end. You won’t even remember the discomfort once you finish your treatment and see your beautiful smile! About a week after application, your mouth should be fully acclimated to your new braces. You should also be back to speaking and eating normally. The soreness your teeth might have felt during the first few days is likely to be completely alleviated by now, as your teeth should have gotten used to the pressure put on them to shift their positions. Once you’re back to feeling normal, you should still be very careful not to eat foods that might damage your wires or break your brackets. While you have your braces, you should always be sure to maintain proper oral health. Brushing and flossing regularly are crucial aspects to ensuring your mouth stays clean and healthy during your treatment. Just because you are seeing an orthodontist regularly does not mean you should stop seeing your dentist, so don’t forget to keep up with your regular appointments there as well. Officially being on the way to having a straight and beautiful smile is an exciting thing! We are going to try our absolute hardest to make your experience with us and your journey with braces as comfortable as possible. There are a variety of ways to manage the discomfort you might feel after initially getting braces. Be sure to always talk to your orthodontist or your orthodontic technician about what solutions might work best for you, and remember, you’ll have the smile of your dreams in no time!